On Monday, The Holy See won an important court victory when a federal judge in Oregon decided that priests are not employees of the Vatican, as plaintiff attorneys suing the Catholic Church had long argued in an important case that was filed over a decade ago. 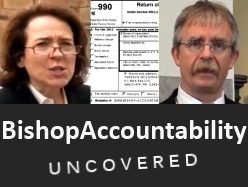 In April 2002, lawyers Jeff Anderson and Marci Hamilton filed suit against the Holy See on behalf of "John V. Doe," who asserted he that had been abused by Andrew Ronan, a priest who was laicized in 1966 and died in 1992. 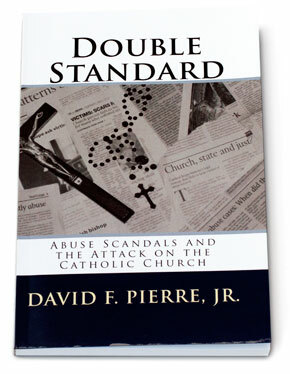 Anderson and Hamilton argued that the Vatican should be held liable for John Doe's damages for abuse because Catholic priests are "employees" of the Vatican. But Judge Michael Mosman of the United States District Court in Oregon shot down that claim and outright dismissed the Plaintiff's case. In granting the Holy See's motion to dismiss the case, Judge Mosman asserted, "There are no facts to create a true employment relationship between Ronan and the Holy See." Rather, the relationship between a priest and the Vatican is more like the relationship between a lawyer and the state bar. The bar can license, sanction, and disbar attorneys, but by no means is that relationship equivalent to that of an employer and an employee. Trying to make the case for the Plaintiff that priests are "employees" of the Vatican were dissident Dominican priest Rev. Thomas Doyle, who has worked as a canon lawyer, and Patrick Wall, an employee of Jeff Anderson. In the end, Judge Mosman did not buy the men's arguments at all. 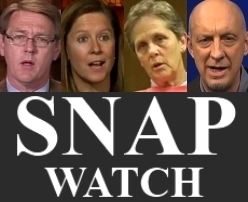 In addition, in court documents, veteran canon lawyer Dr. Edward N. Peters effectively dismantled and shredded the pair's legal wranglings. Peters flatly determined that their work was "incomplete and misleading in several crucial respects" and contained a number of "significant" mistakes and errors. The impact of Monday's ruling cannot be overstated. Had the Vatican lost this case, it likely would have faced major monetary damages. A flood of other cases would certainly have followed, and the result of that would be obvious. And if the Vatican had lost the case, surely it would have been a major story in the media. Instead, the New York Times rendered this important verdict a modest 145 words on page A11. Likewise, a lot of news outlets did not give this important decision much attention. The Los Angeles Times, for one, did not even report this important story at all. This is one case, and that is being appealed by Anderson. So a decision was made a the bottom level in the court system this will take years to really settle. Frankly I think Catholics know that their pastor has daily ,through the mass, a deep conection to God. So I think Catholics see God as his boss. And the Pope as if not the next best thing pretty close to God as being the religious"s Boss. There does seem to be a chain of command in the Church and any Catholic would tell you what that chain of command is and who heads it. That being said and the law being what it is. Lets "just" see what happens. So tired of looking at, listening to these obnoxious, mean faces. We can only hope that no judge or anyone buys what they sell anymore. May theirs days of defeat be many. Let me point out the extraordinary logic here: Catholics know that “through the mass” their pastor has “a deep connection to God” – and spiritually speaking, I would say that’s actually very true. But then: Since God is therefore the pastor’s boss, and the Pope “if not the next best thing is pretty close to God”, then the Pope is the pastor’s boss and – in ‘JR’s careful and considered logical analysis, therefore there is “a chain of command in the Catholic Church” that goes from the pastor to the Pope (and then on to God, although that bit is left out … perhaps since God can’t be brought to court or sued). Such logic: the spiritual primacy of the relationship with God – which the pastor enjoys as a baptized Catholic anyway – is equated with some organizational command structure by which the Pope gets orders from God and the pastor gets orders from the Pope. Why would anybody even go to the trouble of fabricating such a Cartoon? One answer offers itself: you need some sort of ‘chain of command’ in order to have grounds for lawsuits or – as is evolving (mutating might be a better word here) now – criminal trials of Church officials even though they never committed any sexual-abuse themselves. This requires that the Church be imagined as a military organization: the Pope as Field Marshal, the Pastor as a base or camp commander; the individual priests as enlisted … have it your way, whatever it may be. But this is – again – a Cartoon. Surely the long history of the papacy’s relations with its own subordinates indicates no such thing. If, for a recent example, the Church were a military organization, then why was there so much complexity and dissent engendered by Vatican 2 which – if you take a look at, say, the NCR site, exists to this very day? But a far more comprehensive analysis of the nature of authority in the Church is provided by the canonist Dr. Edward Peters, linked-to in this article. As I said in a comment on the ‘Mea Maxima Culpa’ article, Peters gives us all a clear example of just what it takes to conduct a comprehensive analysis of the subject: you require some very serious thinking, and a wide knowledge of Church history: theological, canonical, philosophical, organizational, cultural, sociological. Without that knowledge, you will inevitably wind up with a grossly inadequate and inaccurate ‘map’ and ‘picture’ of what you are trying to deal with. Of course, if you are looking for a handy, Hollywood-ready, media-friendly Cartoon with a quickie and simplistic Script – then Peters is exactly the kind of person you do not want getting in the way. Watch to see how much coverage his analysis gets in the mainstream media. And in a way it’s understandable because very few people like doing the hard work of serious analysis and thinking unless they really have to – and apparently in the media – far too often, alas – it’s not considered necessary to do too much thinking in the matter of the Catholic abuse Thing. And of course, to either the genuinely Cartoon-oriented personality, or to the manipulative mind looking to hoodwink (and Stampede) public opinion, then people like Peters are Public Enemy No. 1 (well, No. 2, since actually the Cartoon-Script requires the Pope to get top-billing). But I would like to congratulate TMR for giving us this direct access to Peters’s work, and I earnestly submit to the readership that a quiet reading of his material gives you a picture of how a serious and trained mind works when it has to conduct an analysis. In the process, Peters uncovers vital and ‘fatal’ (in the legal sense) deficiencies in the ‘expert’ submissions submitted (under oath) to the Court by one Mr. Wall, and supported by Richard Sipe (and no doubt many others similarly inclined toward the Useful Cartoon). I read Peters last night and I am going to read him again. I won’t rehearse all his material here – but he is a very bright ray of light in a triple sense: i) he offers an opportunity for as many who wish to see how trained and serious minds approach the work of analysis, and ii) he specifically informs many – even and especially Catholics – about the genuine workings and teachings of the Church, and iii) how awesomely complex it is to make even the ‘simplest’ accurate and justifiable conclusions, if you want to do it right. Thank you TMR, and prayers for your work, Dr. Peters. It is true that this decision was made by a judge on the lowest level of the Federal court system. Courts being what they are, as human institutions, one never knows what will happen. That being said, it’s also beside the point here. I strongly recommend reading Dr. Peters’s filing as an exercise in mental and cognitive discipline necessary for analysis. And also because the points raised by Dr. Peters might be ignored by a higher court when it makes its review – if that course of events transpires – but they cannot be denied. The material about the canonical issues and history involved is not fungible; nor, it seems to me, are the actual facts about Mr. Wall’s sworn claims as to expertise in any of this area. But once again, we see here an almost ‘fundamentalist’ eagerness to latch onto any ‘authority’ or ‘proof-text’ in order to bolster – in their own minds as well as the public’s – their true-believing assertions. As in: Well, if a court said it, then it must be totally true and right so why do I have to waste time doing any ‘homework’ and reading anything and doing my own analysis? And if a court said it, then why don’t you believe it – you must be Evil. This, of course, only works if the court agrees with what you want to hear and believe. I am not recommending Dr. Peters’s splendid analysis because the court – thankfully – agreed with it. I am recommending it because it constitutes a fine example of the discipline and knowledge and process required to reach informed and competent analytical judgments. Publion, I hope you write letters to the editor to your local newspaper when this topic comes up. The problem I have with Doyle isn’t personal – I’m sure he’s a very nice person when you meet him and he does lots of good things. The problem I have is that I don’t believe that he is a very reliable source of information. This apparent contradiction is explained by Doyle as being the result of the producers failing to convey to the audience the “distinctions” he made in relation to the document. But what “distinctions” could have preceded or followed the statement “[b]ut what you really have here is an explicit written policy to cover up cases of child sexual abuse by the clergy” that would change its meaning so greatly that it would come to mean the complete opposite? I can’t think of any plausible combination of words, other than perhaps a statement that the claim he just made was false and they shouldn’t air it. Let’s assume that he was somehow misrepresented. What has he done to correct the record? Has he told the BBC to clarify the matter? 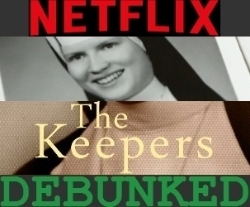 Because the website for the documentary is still up, six years later, showing and quoting him making that incorrect claim, a claim he himself acknowledges is incorrect, and it’s still being cited by people as evidence that Crimen sollicitationis was an explicit written policy designed to cover up evidence of sexual abuse by clergy, and by implication, that the Pope was involved in a cover up. It is one thing to be misrepresented, it’s another thing entirely to fail to attempt to undo the consequences caused by a misrepresentation. And when that misrepresentation helps serve a persons ideological aims, it makes me less likely to rely upon their claims again in the future. Julie, no editor would print such lengthy nonsense. Jim, Anybody who actually reads Publion's posts know they aren't nonsense. Stalin once asked' "How many divisions does the Pope have?" I think JPII showed the Communist world exactly how many divisions the Pope did have. What I said was what Catholics see re. Chain of Command. And if you can pretend after having lived through Vatican 2 that the Church has no chain of command. The word delusionary pops up.